The soulful Cautious Clay wrapped up 2017 with a bang. After wowing us all with his impressive original tracks "Cold War" and "Joshua Tree," collaborating with artists like Petit Biscuit and Bipolar Sunshine, and charting on Apple Music's Alternative chart, the Brooklyn based artist is starting off 2018 in a similar fashion. 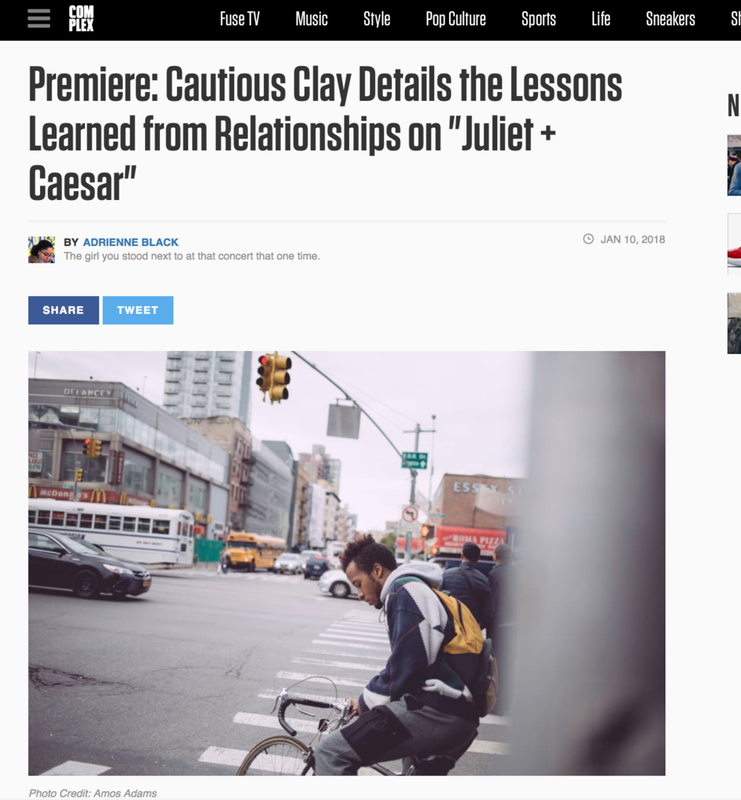 Selected by Soundcloud as "an artist to watch in 2018," Cautious Clay delivers his new track "Juliet & Caesar," and it doesn't disappoint. This track is off his forthcoming EP, Blood Type, out this February! Check out Complex has to say about this budding artist.